The appearance of your landscape has a substantial impact on the first impression and value of your property. Well-designed landscaping has become as important as well-designed interiors. 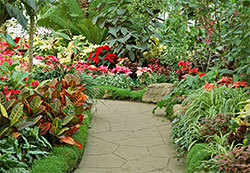 California Creations focuses on providing high quality Landscape designs. We have extensive knowledge and experience with respect to every aspect of landscaping. This is one of several advantages we have over our competitors. California Creations creates all types of Landscape Designs and handles each project creatively and meticulously. We use high quality materials and equipment and we custom tailor our designs to meet your specific preferences and budget. California Creations works very closely with all of our clients and pays close attention to your requests. Occasionally, clients prefer that the work be carried out in phases and we are happy to accommodate these requests. We provide you with scalable and flexible solutions so that you get the exact landscape that you envisioned. All our Landscape Design concepts add allure to the properties and encourage our clients to spend more time outdoors. 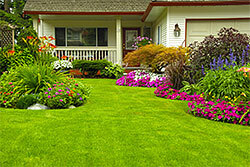 As you can see, Landscape Design involves extensive criteria. There are a number of different aspects and concepts that must work in sync with each other and that is what we focus on in every project we perform. If you hire California Creations, we assure top quality landscaping designers and experienced installers working on your project. Our entire staff is well-trained and skilled to carry out the project to perfection. California Creations applies a great deal of effort toward performing each project creatively, accurately and thoroughly to avoid the need for corrections. Since there are a number of different aspects that must be taken into consideration, it is important to hire a full-service landscaping company. By hiring a Landscape Designer that is not a full-service Landscape Contractor, you expose yourself to the risk of both the designer and the installer blaming the other and neither one assuming accountability. 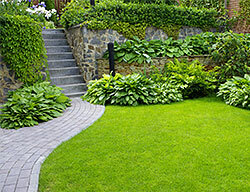 California Creations is one of the most highly recommended landscape contractors in the Southern California. You can count on exemplary services from California Creations. Feel free to contact us with all your requests at (818) 833-1231. Or, submit your inquiries via this online form for any type of landscaping and/or hardscaping services in Southern California.